Mexico has a myriad of iconic figures that have left an eternal imprint on its vibrant and rich identity. 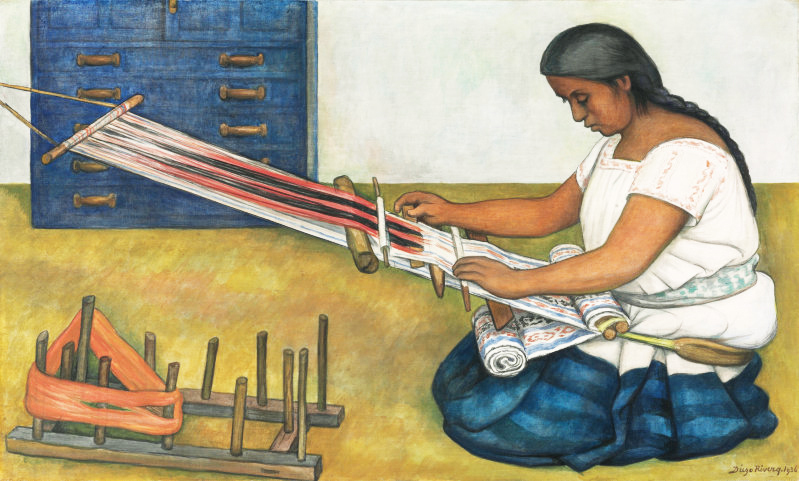 While the likes of Frida Kahlo, Diego Rivera and Jose Guadalupe Posada are among some of the most renowned names in Mexican history, Julia “Luz” Jimenez is a name that conjures a great sense of pride for the people of Mexico. Not only did she prevail over adversity and went on to become one of Mexico’s most famous models, Luz was an important figure in preserving the language and storytelling of the indigenous Nahua people. 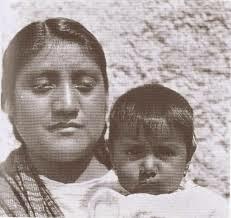 Julia “Luz” Jiménez was born on January 28th, 1897, in the southern district of Milpa Alta in Mexico City. Her ethnic background was that of the indigenous people known as the Nahua and her whole family were subsistence farmers who earned a living harvesting from the land. As a young girl, Luz was an inquisitive, avid learner who always had a fascination with academia and acquiring new knowledge. Growing up, she dreamed of becoming a schoolteacher, however, her dreams were cut short when the Mexican Revolution started, which in turn would change her life forever. During the times of great civil unrest and revolt, Luz became an eyewitness into the events that were slowly shaping the future of Mexico. The local rebellions happening around her soon hit close to home and almost ended her life. When Emiliano Zapata swept through with his army of Zapatistas and took control over her town in 1911, Luz reportedly hid behind stone columns in order to escape their gunshots. Although the Carrancistas were able to drive Zapato and his forces out, they then proved to be just as brutal when they proceeded to decimate the local population in the year of 1916. Luz managed to survive the massacre of her father and most of her male relatives and after this traumatic ordeal, she fled from her hometown to Mexico City where she found several odd jobs to make money to support her family. In the beginning, Luz found employment as a housekeeper and worked for different families in the city. But not long after that she became a model at the National School of Painting, Sculpture and Printmaking in Mexico City. It was during her time here that she met several prominent artists like Diego Rivera, Frida Khalo, and Jean Charlot. Her indigenous features and native language inspired many artists who came in contact with her at the school. 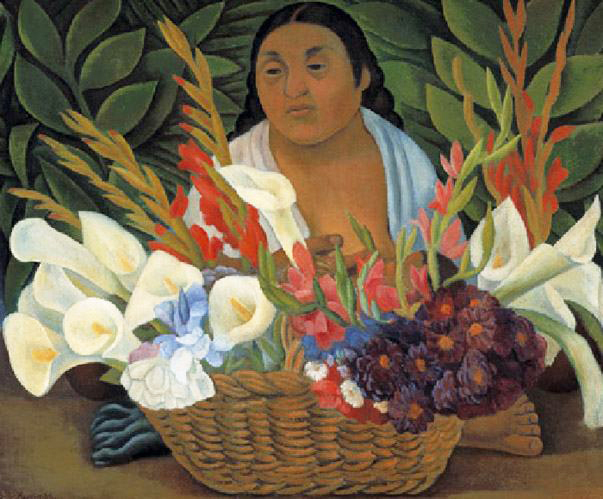 Many wanted to capture her authentic Mexican spirit, so they would use her as a model for their works. Soon after that Luz began to appear in photographs, murals, paintings, and even sculptures. 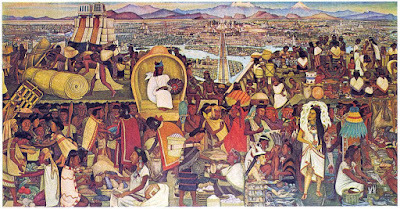 Diego Rivera included the likeness of Luz in many paintings and some of his murals, the most famous piece being the “Mercado de Tlatelolco” (Tlatelolco Market) scene where he painted the historical account of the Aztecs and their daily rituals. Here one can see pyramids, plazas, palaces, gardens, and canals indicating wealth and prosperity of the great Mesoamerican City of Tenochtitlan. In another painting, “The Weaver”, Rivera shows Luz in the midst of one of her favorite activities. She is depicted sitting on her knees, deeply focused on the intricate layers of the fabric she is weaving together. 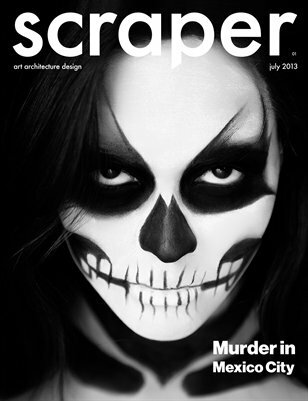 The red, white, and black colors create an interesting pattern that gives credit to Luz’s craft and skill. Jean Charlot was another artist who created paintings that featured Luz, the muse of Mexico. In his many lithographs and sketches, he shows her doing daily activities like chores and sewing. Even her child, Concha, whom she always carried with her, is represented in many of the paintings. Luz and Charlot’s bond extended beyond their artistic relationship, as she became a household member of his family and cared for his children as well. Charlot was fascinated with her indigenous heritage, and she even taught him her native language, Nahuatl, and invited him to many Aztec events that were usually off-limits to foreigners. Charlot and his wife then became godparents to Luz’s daughter, officially making them part of her family. Although most paintings of Luz are tucked away in museums and private collections, there are some images of her that can be seen in public. Her most visible influence can be experienced in the statue that graces Parque Mexico in Condesa. Here the sculptor, José Maria Fernández Urbina, created a 3-meter tall statue of a naked woman holding two jugs of water. The sculpture is called “Fountain of the Jugs”, for which Luz modeled. Her larger-than-life figure represented in this statue seems appropriate, as Luz soon became an icon of Mexican culture during a time of revolutionary nationalism in the country. 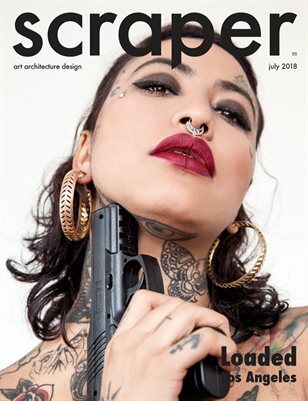 As Luz got older, she stopped modeling and focused on doing translations for linguists who were trying to learn and document the Nahuatl language and its culture. Her greatest contribution was telling her life story to the anthropologist, Fernando Horcasitas, who published it in the book titled, “Life and Death in Milpa Alta”. In this book, Luz recalled the Mexican revolution as she saw it through her eyes—the horror of the violence and the massacres that her people endured while being under occupation of various rebel groups and governments. The book showcases her mastery of the Nahuatl language and Luz is recognised by ethnologists and archeologists for being a ‘living link’ with the Indian past. Even though most of her people’s voices have been silenced, her invaluable contribution to the cultural preservation of the Nahuatl people has helped keep its history alive for future generations. Just as she was born into a violent world, Luz left in a similarly cruel manner, when she was struck by a car and pronounced dead on the scene in the streets of Mexico City in 1965. Having lived almost 70 years, she was able to make the best of her humble upbringings and conquer the odds that were against her. She inspired a generation of artists who took her image and introduced it to the whole world as the true face of the Mexican people. During times when her country struggled to find its identity, she helped people understand their indigenous roots and encouraged them that they should never be forgotten, leaving behind a legacy that will continue to be celebrated in Mexican history and culture for many years to come.